It’s almost a month since I last posted. G suggested that I might want to censor some of the gloomier posts for the sake of the reader. Right now, it feels that by doing so, I might just as well mothball the whole blog. From a selfish point of view, I find sharing our experiences here cathartic. But I also think that giving a truthful account of our life with Rett syndrome is only fair to R.
It’s not that nothing good has happened recently. R enjoyed Christmas. She loved her hot pink headband with built-in headphones and her little night light, which projects blue and green stars on her ceiling. She enjoyed the pantomime and going out for dinner afterwards. Tonight, R laughed through the whole of James McAvoy’s CBeebies Bedtime Story (anyone who has ever heard R laugh will know that it can really make your day). But all the good stuff has been tempered by the fact that she is still unwell much of the time. This week has not been a good week. On Monday, R stopped breathing. Not for long – 30 seconds maybe – but it happened several times and each time I laid her down. This was not her usual breath holding. This was something much scarier and she was unresponsive when it happened. We decided to take her to hospital (on the way in, she stopped breathing again and I had to stop the car on the hard shoulder of the motorway. In retrospect, I think that I should have called an ambulance). It’s not clear that these episodes were related to her epilepsy, nevertheless that her seizures remain uncontrolled is a cause for concern. Her medicines have been changed again. Given that her epilepsy is proving hard to control and the periods of not breathing, I was counselled again about Sudden Unexpected Death in Epilepsy (SUDEP). We were advised to consider an anti-suffocation pillow and that it may be beneficial to obtain a monitor which will check her oxygen levels overnight. The potential benefits of a gastrostomy tube in ensuring that R gets her full dose of medication were once again discussed. I’m trying to be rational. There is no point in being paralysed by anxiety over this. SUDEP is very rare. Realistically, R is at low risk of suffocation because, while they can be very frequent, her seizures are typically quite short at present. But it’s incredibly difficult to set this worry aside altogether. 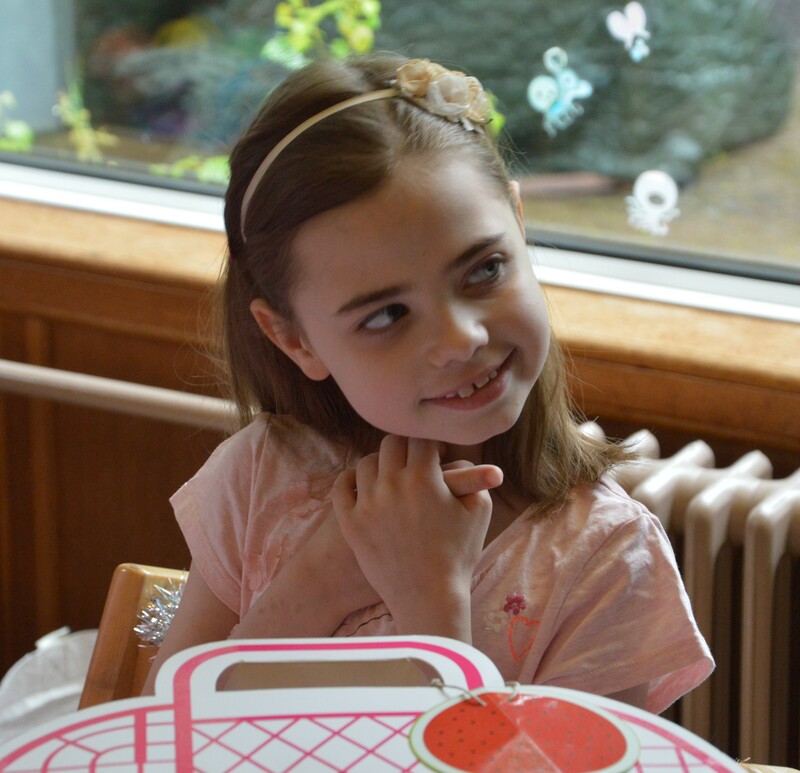 Rett syndrome is considered by clinicians to have 4 stages. R is in Stage 3. This is known as the plateau stage. It’s mis-named. I am procrastinating. What I should be doing now is planning for R’s Christmas. By this, I do not mean buying Christmas presents. No, the planning is the more mundane task of ensuring that we have medicines, documents and protocols in place in the event that R becomes ill again when we are away from home over Christmas. I am not by nature an organized person. The cliché is that mothers make ideal employees because motherhood teaches organizational skills. I’m not convinced. I do think that to survive as a carer, however, developing some skill in this area is essential. Take medicines. Several of R’s medicines are unavailable from the pharmacy at short notice. Moreover, R’s GP requires not less than 48 hours to issue a prescription. Together this means that it can take up to 5 days to obtain the medicine. The medicines that R takes on a daily basis could, in theory, be ordered automatically by the pharmacy on our behalf. This doesn’t work in practice because R’s medicines are continually changing (dosages and drugs) and because R gets some of her medicines at school and needs to have duplicate prescriptions for school. Some of the medicines are prescribed on an as required basis and therefore need replaced on an unpredictable schedule. R has paracetamol suppositories (a wonderful innovation because when R gets sick she refuses to take any medicines by mouth and consequently gets sicker). These come in boxes of 10, which if she is poorly, don’t last long. I am constantly requesting prescriptions. R is struggling with seizures. Her most recent emergency hospital admission was less than a week ago. Her seizures are coming in clusters. The rescue (emergency) medicine that she has been prescribed is giving her only brief respite (a matter of hours) before the seizures resume. The concern, expressed by the doctors, is that these clusters could become continuous seizures – status epilepticus – which can lead to brain damage or worse. We live only 20 minutes (less by ambulance) from a specialist center for paediatric neurology. My parents live almost four hours away from one. So for this reason, I need to make plans. I spoke yesterday with the hospital. R’s seizure management plan has been amended and extended. She has been prescribed a second emergency medicine, which we will take with us and which is to be administered in the event that the first is ineffective. We are to phone the on-call neurologist directly. I am gathering hospital letters, drawing up a list of current medications dosages and diagnoses and general information on R and Rett syndrome for the paediatricians up north, should R take ill. I have ordered repeat prescriptions of everything. None of this is making me feel very festive. Until yesterday, I had barely started Christmas shopping and I am still behind. This is not how I want to be counting down to Christmas with R.
We are driving to school. The radio is tuned, as usual, to Radio 2, the station that serves as the compromise between what I want to listen to (BBC Radios 4 and 6) and what F and EB want to listen to (Capital FM). A female singer from the early noughties is singing live. The moment that she is announced, I know that R is going to be unimpressed. It would be fair to say that women of the over-emoting sub-Whitney big-voiced school of singing are not really her cup of tea. I wait for the teeth grinding to begin. Instead, I hear that too familiar syncopated breathing that indicates that R is having a seizure. Sure enough, as I look in the rear view mirror, I can see R convulsing. I switch off the radio. The seizure stops. Immediately. R’s response to music seems to us to be more than just the expression of taste. Music distresses her as predictably as it soothes her. While we were on holiday, we visited a restaurant with the children. The restaurant, although casual, was trying to project a cool vibe. The music was “ambient”, heavy on woozy synthesisers and lacking in structure. R hated it. As we waited for our food to arrive, she became more and more distressed; colour drained from her face and her pupils dilated; she became floppy. Not knowing what else to do, I brought her downstairs to the toilets. Unusually, the music was not piped into the ladies. Relief. R perked up straight away. Not just a bit. She was back to her usual giggly, squealy self. Immediately. I have no evidence for this, only a hunch, but I wonder whether part of this may be due to synesthesia. Synesthesia is the rare perceptual phenomenon where there is a cross-talk between the senses. Someone with synesthesia may taste colours or see numbers as textures. Some synesthetes experience music in colours or textures. What if R experiences music like this? Dark, scary film music results in hyperventilation and real distress. What if this were because she experiences dark, scary film music as something quite literally dark and scary? Some of the theories behind synesthesia are based around the idea of an abnormal maturation of the nerve pathways in the brain. Normally developing infants have many more connections – synapses – between the nerve cells in different brain areas than adults. The “correct” pathways are reinforced by experience in early childhood leading to a pruning of the redundant pathways. It has been suggested that some of these pathways, for example linking brain areas responsible for processing music with those for processing colour may, in synesthetes, survive. Rett syndrome is characterised by a disruption to development that begins right around the time that this so-called synaptic pruning should be taking place. Perhaps synesthesia is the result. Perhaps, indeed, this could be of a more intense form than someone who has otherwise had a normal neural development. I asked R whether she sees colours when she hears music; she indicated that she does. Regardless, the emotional and physical response that R has to music, has intensified of late. R doesn’t see why she shouldn’t dictate the music played outside of our home as well as within it. This really isn’t realistic. So for the foreseeable future, it looks like dining out will be at Frankie and Benny’s. The food may not be great but at least there classic 50’s music of the sort that R loves is always on the menu.